I’m finally getting around to reporting on the reception of Uncommon Ground: Impact and Influence. The show is amazing! I was very grateful to be accepted to be in the show, but after seeing it in the flesh, I am very humbled and honored that I am included!!! I always thought my vessels were kind of big, but after seeing the show, my piece was one of the smaller pieces in the show. Here are a few of my favorite pieces from the show, and the last image is mine! My piece from the Uncommon Ground Catalog. If you click on the image you can acutally read it!!! The September/October Issue of Pottery Making Illustrated is all about Surface Decoration! Where has the time gone??? I have so many things to blog about, but yet I’ve written NOTHING in a very long time! So I will start with my most recent topic….. I’ve had the pleasure of being published in Pottery Making Illustrated this month along with Jason Bige Burnett, Kristin Pavelka and Kate and Will Jacobson. And a Big Congratulations to Jason for the cover art!!! I was very pleased PMI contacted me and asked me to write about making one of my architectural vessels. I went through the whole gamut of emotions, I was thrilled, I was ecstatic, and then I started thinking about actually writing the article, then the emotions were a little different, I was petrified, I was dizziness, I had wild heart palpitations, and then I finally started to write. Coming Soon hopefully to my blog! More on my trip to Ethiopia! Pictures from the workshop I taught at Plinth Gallery months ago. Upcoming updates on NCECA’s Uncommon Ground: Impact and Influence at the Arvada Arts Center. 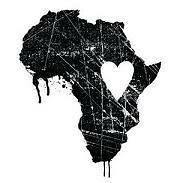 And also I am trying to take a group of artists to Ethiopia in a partnership with One Child Campaign and Project 117. A nice surprise this morning. Today I went blog browsing and I ran across my salt and pepper shakers on the (Mud) Bucket. What a nice surprise. Jesse Lu really did an elegant layout on her blog. I love all her choices for her Setting the Table: Crisp Black and White post. My favorites are Kathy King and Melissa Mencini. Thanks Jesse Lu! Good News!! 500 Vases and Ayumi Horie Pots in Action Contest!! "500 Vases" One of the title pages. This has been a good week. It started out, when I got home and found 500 Vases waiting for me in the mailbox; I was lucky enough to have all three of my submissions accepted in the book. And I was thrilled to find my work on one of the title pages!!! 500 Vases was juried by the Julia Galloway. The 500 Series is one of Lark’s most distinctive and popular lines, this is the series lovers of fine craftsmanship rave about. 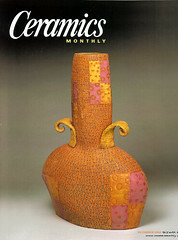 It provides an overview of the best contemporary work in fields such as ceramics, jewelry making, woodworking, and more. Each book is juried by an expert, features informative introductory text, and showcases spectacular images of state-of-the-art work. The first entry in the series, 500 Teapots, was published in 2002. Since then, 35 books have followed, and new titles release each season. With an international roster of contributors that includes both established names and up-and-coming craftspeople, each volume spotlights the shared and divergent approaches taken by artists who are producing visionary work. Filled with lavish photographs, these gorgeous books inspire crafters and collectors, artists and aficionados—anyone who enjoys celebrating the creative spirit. Iam ecstatic to be a part of this inspirational book. After looking at all the images of the book, I had to go work in my studio. I had been taking time off from the studio, (excuses, excuse, excuses…) because I almost broke my finger (still swollen after a month), it’s the start of the school year, and I’m tired from my new school schedule. I had a fantastic night in my studio, and I’m soooo excited to be working again. Thank you Lark Books for getting me out of my back to school slump!!! If you want the book here is a couple of links: Amazon.com and Barnes and Noble.com. I believe Vander’s sweet little face was hard to resist, and the darling Lindsey!! I found out I got second place in Ayumi Horie’s Pots in Action Contest. Last night when I found, my husband and I went to Ayumi’s website to see what I won. As we were doing this Vander comes wandering over to see what we are doing and looks at the computer screen and says, “That’s my monkey cup.” I can’t argue with that. Vander has his first piece of amazing pottery in his collection. Thank You Ayumi!!! I love your work and our new Monkey Mug!! Thank you to everyone who voted for our picture!! People have asked me if I was nervous that the camel was so close to Vander. I am friends with the owners of the Terry Bison Ranch where we took the pictures, and called before we went out there, and asked if this idea was possible. They wouldn’t let us in the field with camels, and one of the owners went with us to feed the camels. She was right there just out of the picture at all times. The camels are hand feed, trained for riding, but only one person rides them. Here are some more pictures of the day. Even if we didn’t win a prize the day was well worth it. The kids had a blast. We petted and played with so many animals that day. It was great to have a guided tour of such a fun place. I am the feautred artist on Art Palaver!! Two posts in one night. I’m trying to catch up with everything that has been going on. I am very excited to be the featured artist on Art Palaver this week. If you don’t know the Art Palaver blog it is about helping artists sell art by offering resources to help you better market and promote yourself and your art. The blog has some great advice and artist features. 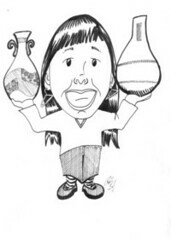 I just found out that my work was accepted to 500 Vases by Lark books. I’m very excited about the whole deal. I’ve been lucky enough to be published in a couple of magazines, but this is will be my first time to be published in a book. It has been such a long time since I applied, I had thought of it once or twice and assumed I had been rejected and never received the rejection letter. The juror is Julia Galloway. The book will be out in bookstores this coming fall. Here are the pieces that got accepted. This news article just got emailed to me by Ted Vogel about AccessCeramics.org. I am really happy to be a part of this amazing website. It is a remarkable teaching tool. Thanks, Ted for inviting me!! An innovative project developed by a team of Lewis & Clark faculty and staff members has quickly become a vital resource for the arts and education communities. AccessCeramics is a robust online collection of contemporary ceramics images that has become a highly effective educational tool and an influential model for increasing access to both art and education. Launched in March 2008, accessCeramics is the only major, free ceramics database online. Watzek Library staff members collaborate with Assistant Professor of Art Ted Vogel to support the project’s technological, artistic, and educational dimensions. In the short time since its inception, accessCeramics has grown tremendously and has caught the attention of artists, scholars, and experts in instructional media services. The originality of the project and its educational mission have earned it grant support from prominent foundations such as the National Endowment for the Arts (NEA). With nearly 3,000 images and artist-contributors from around the world, accessCeramics merges the arts and digital technology in a unique and intuitive way. Though other licensed databases exist for art historians, no other service or website offers open access to a comparable range of images of contemporary arts, particularly ceramics. Housed in Flickr, the foremost online photo-sharing application, accessCeramics is free and user-friendly for contributors and viewers. One key to the project’s success has been its streamlined, web-based submission process. The accessCeramics curatorial board recruits artists for inclusion in the collection, but much of the submission process is completed independently: artists use a customized website to upload and catalog their own images using prescribed metadata fields. The images are stored on Flickr and displayed through the accessCeramics website, where the collection is fully searchable by any of the descriptions artists provide when uploading the images. The efficiency of the accessCeramics model has allowed the project team to focus its time and resources on expanding the collection, managing the website, and providing technical support to contributing artists. When the accessCeramics group members think about how to gauge the site’s impact, they can point to a few concrete numbers, like the 100 unique visitors a day to accessCeramics.org, or its top-ten placement in a Google search for contemporary ceramics. Members of the team have been invited to present at multiple professional conferences around the country. The group has twice published articles about their work, and the project has received two major grants. Harder to calculate—but much more significant—is the project’s profound impact on academic and artistic communities. The accessCeramics team has heard from ceramics educators at many colleges and universities, who have called the collection an invaluable resource in their field. AccessCeramics fans have written in from as far away as New Zealand and Australia. Vogel recently received an email from an art student at Alfred University, home to one of the largest ceramics programs in the country, saying that accessCeramics is frequently used in classes there. It was an honor to be asked to be featured in Peaks and Plains Great Lakes In-Flight Magazine, but then I found out I was chosen to be on the cover, I was thrilled. Thank You Peaks and Plains!!!! On Monday I found out I was going to be on the cover of Peaks and Plains Great Lakes In-Flight Magazine. But I still haven’t seen the magazine in person. I have seen it in digital form several ways. Here it is on the Peaks and Plains website. I’m so excited to see the magazine. Maybe this is a big hoax and I’ve fallen for it hook, line and sinker. But for now I’m thrilled to see on their website.